The next League of Legends VS event is right around the corner—and fans of the game are getting spoiled this year. The past two VS events featured two skins each, but the Cats vs. Dogs April Fool’s Day Event is going above and beyond, bringing a total of five new skins to the Rift. 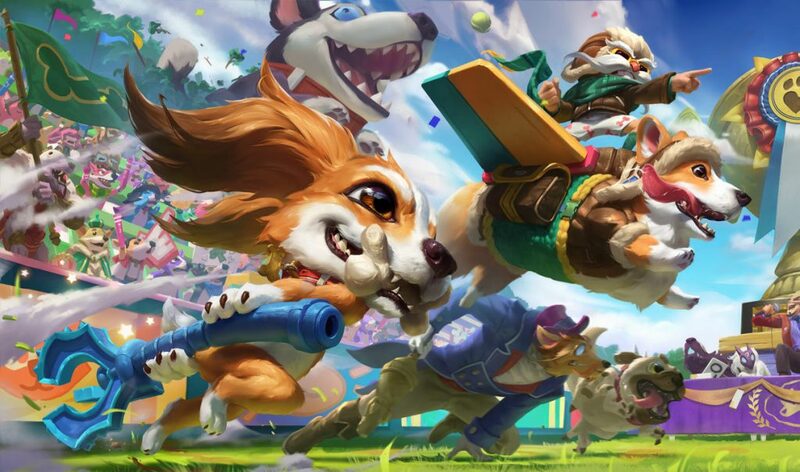 For dog lovers, Riot is releasing two new dog-themed skins for Fizz and Corki. With his new skin, Corki rides on top of a tail-wagging Corgi fully equipped with airplane wings. Fizz, on the other hand, received a full canine makeover, morphing from an Aquatic Yordle to a Cavalier King Charles Spaniel. Fuzz Fizz will be the only skin to release with a prestige edition for this batch. Like most prestige skins, Prestige Fuzz Fizz will adopt a golden recoloration for the skin’s model and ability effects but will also come with additional designs. Prestige Fuzz Fizz wears a crown and calls in a royally-dressed pug for his ultimate ability in place of his husky friend. 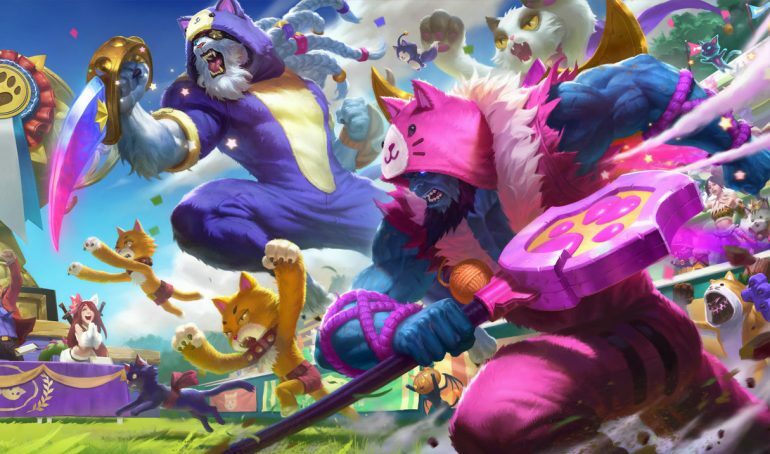 Yorick and Rengar serve as the two champions to receive skins for the feline side of the VS event, with both characters dressed in their own cat-themed onesies. In place of his ghouls, Meowrick calls in more feline companions while Pretty Kitty Rengar throws yarn and leaves a cat mark on his prey with his ultimate ability. Of the new set of skins, only Corgi Corki and Pretty Kitty Rengar will receive their own chromas. Both skins will come with seven chromas for additional purchase, each bringing a new colorful redesign for their respective skins. As is customary with skin releases, the five new skins won’t have official release dates but can be expected to hit live servers sometime during the 9.6 patch cycle.